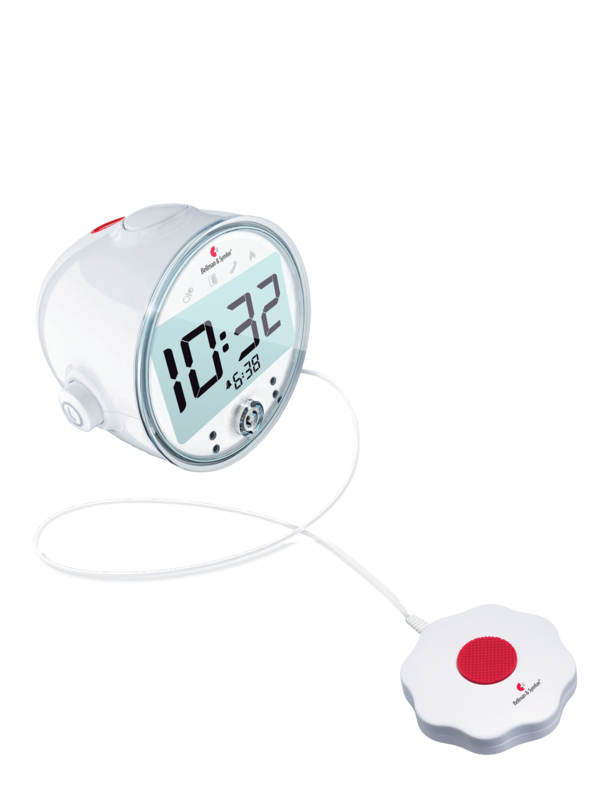 The Visit Alarm clock is also connected to the Visit alerting system transmitters. This means you will be awaken when the doorbell or phone rings, when your baby cries, or if there is a fire in the house. LED flashing lights 30-day trial period and money-back guarantee on all products. The Visit Alarm clock is very easy to use. The video is closed captioned. Click [CC] to view the captions.